New this year, the YCFN is now offering its members their own page on the website for an additional fee of $100. Intended for members who do not have their own websites, pages are part of the YCFN.org website, but can be customized for your farm. 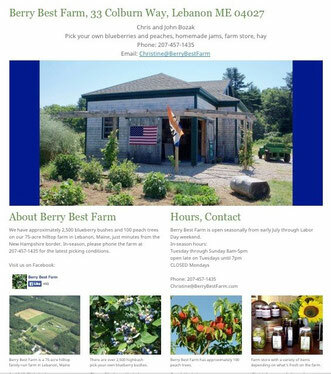 Pages can include several photos, your logo if you have one, a few paragraphs of information on your farm, hours, phone number, links for the public to contact you, Facebook page links, etc. Having your own web page makes it easier for your customers to find you online. Flat rate of $100 for initial setup, no ongoing hosting fees. YCFN is a volunteer organization and we request a suggested donation of $20 annually from each farm or business member. Information that you submit on the Join page is used for listing on the YCFN Members page. This free listing also serves as a resource for the public using the "Find a Farm" search feature of this website. Not all fields are mandatory. Please check the Members page on this site one or two weeks after you join to verify the accuracy of your contact information, directions, etc.